Life seems more public in Cuba. The warm climate helps, but even more important, I think, is the sense of community and the tradition of close-knit extended families. Visits to neighbours are constant. As a result, a walk down a Cuban street sees more of daily life happening out in the open than in many other parts of the world. 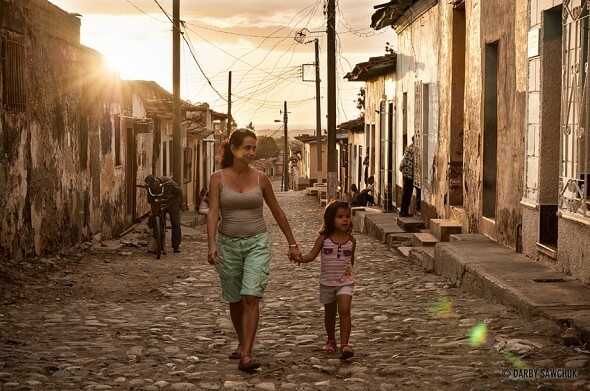 Getting to see that family life shared so openly is one of the joys of wandering through Cuban cities. Here, Mother and daughter share a stroll up one of Trinidad’s cobbled streets as the sun sets behind them.